(SPACE.com) An Austrian daredevil plans to leap from nearly 23 miles above the Earth on Oct. 8 in a supersonic plunge that, if successful, will be the world's highest-ever skydive. If all goes according to plan, a helium-filled balloon will lift off from Roswell, N.M., on Oct. 8 and carry Felix Baumgartner's custom-built capsule to an altitude of 120,000 feet. 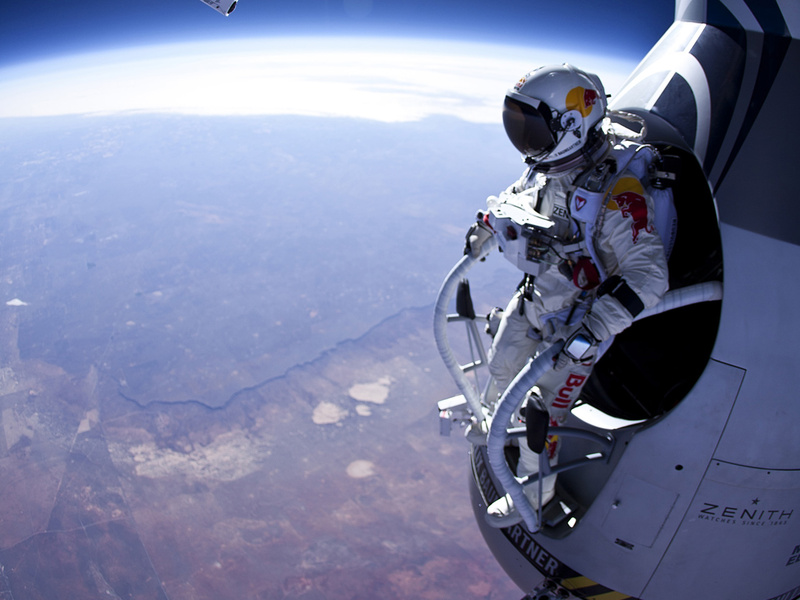 The daredevil will then step out of the capsule into the void, breaking a skydiving record that has stood for 52 years. Baumgartner's 2,900-pound capsule was damaged in a hard landing during a July 25 practice run from 97,146 feet, forcing a delay while repairs were made. But on Monday (Sept. 24), officials with Red Bull Stratos -- the name of Baumgartner's mission -- declared the capsule fit for launch and set Oct. 8 as the target date for the skydiver's "space jump." If Baumgartner succeeds on Oct. 8, he will break not only that mark but also the sound barrier, becoming the first skydiver ever to fall at supersonic speeds, Red Bull Stratos officials said. During the July 25 jump, Baumgartner's top freefall speed was 537 mph -- about as fast as a commercial airliner. Ultimate Skydiving: Falling Human to Break Sound Barrier?